At the age of 15, Eggleston was sent to the Webb School, a boarding establishment. Eggleston later recalled few fond memories of the school, telling a reporter, "It had a kind of Spartan routine to 'build character'. I never knew what that was supposed to mean. It was so callous and dumb. It was the kind of place where it was considered effeminate to like music and painting." Eggleston was unusual among his peers in eschewing the traditional Southern male pursuits of hunting and sports, in favor of artistic pursuits and observation of the world. Nevertheless, Eggleston noted that he never felt like an outsider. "I never had the feeling that I didn't fit in," he told a reporter, "But probably I didn't." Eggleston attended Vanderbilt University for a year, Delta State College for a semester, and the University of Mississippi for about five years, but did not complete any degree. 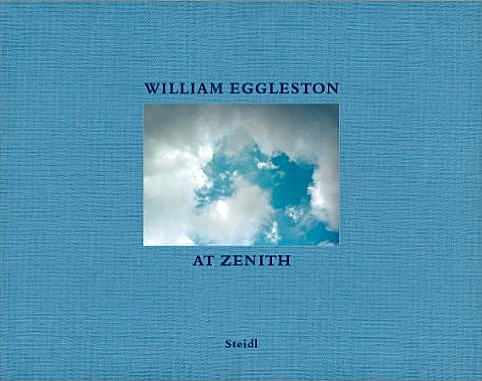 Nonetheless, his interest in photography took root when a friend at Vanderbilt gave Eggleston a Leica camera. He was introduced to abstract expressionism at Ole Miss by visiting painter Tom Young. Eggleston's early photographic efforts were inspired by the work of Swiss-born photographer Robert Frank, and by French photographer Henri Cartier-Bresson's book, The Decisive Moment. Eggleston later recalled that the book was "the first serious book I found, from many awful books...I didn't understand it a bit, and then it sank in, and I realized, my God, this is a great one." First photographing in black-and-white, Eggleston began experimenting with color in 1965 and 1966 after being introduced to the medium by William Christenberry. Color transparency film became his dominant medium in the later 1960s. Eggleston's development as a photographer seems to have taken place in relative isolation from other artists. In an interview, John Szarkowski describes his first encounter with the young Eggleston in 1969 as being "absolutely out of the blue". After reviewing Eggleston's work (which he recalled as a suitcase full of "drugstore" color prints) Szarkowski prevailed upon the Photography Committee of MoMA to buy one of Eggleston's photographs. In 1970, Eggleston's friend William Christenberry introduced him to Walter Hopps, director of Washington, D.C.'s Corcoran Gallery. Hopps later reported being "stunned" by Eggleston's work: "I had never seen anything like it." Eggleston taught at Harvard in 1973 and 1974, and it was during these years that he discovered dye-transfer printing; he was examining the price list of a photographic lab in Chicago when he read about the process. 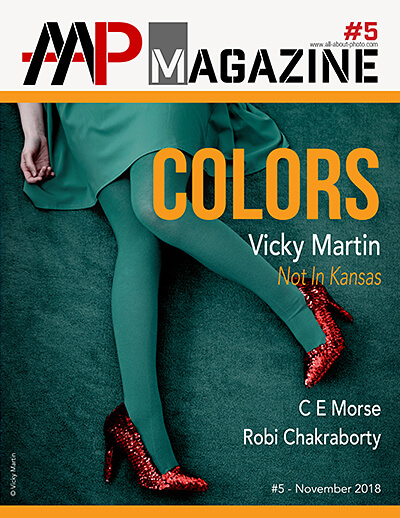 As Eggleston later recalled: "It advertised 'from the cheapest to the ultimate print.' The ultimate print was a dye-transfer. I went straight up there to look and everything I saw was commercial work like pictures of cigarette packs or perfume bottles but the colour saturation and the quality of the ink was overwhelming. I couldn't wait to see what a plain Eggleston picture would look like with the same process. 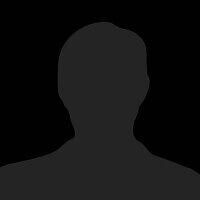 Every photograph I subsequently printed with the process seemed fantastic and each one seemed better than the previous one." The dye-transfer process resulted in some of Eggleston's most striking and famous work, such as his 1973 photograph entitled The Red Ceiling, of which Eggleston said, "The Red Ceiling is so powerful, that in fact I've never seen it reproduced on the page to my satisfaction. When you look at the dye it is like red blood that's wet on the wall.... A little red is usually enough, but to work with an entire red surface was a challenge." At Harvard, Eggleston prepared his first portfolio, entitled 14 Pictures (1974). Eggleston's work was exhibited at MoMA in 1976. Although this was over three decades after MoMa had mounted a solo exhibition of color photographs by Eliot Porter, and a decade after MoMA had exhibited color photographs by Ernst Haas, the tale that the Eggleston exhibition was MoMA's first exhibition of color photography is frequently repeated, and the 1976 show is regarded as a watershed moment in the history of photography, by marking "the acceptance of colour photography by the highest validating institution" (in the words of Mark Holborn). Around the time of his 1976 MoMA exhibition, Eggleston was introduced to Viva, the Andy Warhol "superstar", with whom he began a long relationship. During this period Eggleston became familiar with Andy Warhol's circle, a connection that may have helped foster Eggleston's idea of the "democratic camera", Mark Holborn suggests. Also in the 1970s Eggleston experimented with video, producing several hours of roughly edited footage Eggleston calls Stranded in Canton. 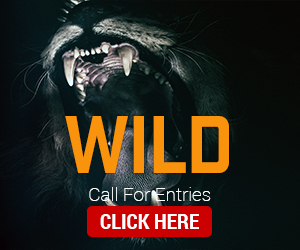 Writer Richard Woodward, who has viewed the footage, likens it to a "demented home movie", mixing tender shots of his children at home with shots of drunken parties, public urination and a man biting off a chicken's head before a cheering crowd in New Orleans. Woodward suggests that the film is reflective of Eggleston's "fearless naturalism—a belief that by looking patiently at what others ignore or look away from, interesting things can be seen." Eggleston's published books and portfolios include Los Alamos (completed in 1974, but published much later), William Eggleston's Guide (the catalog of the 1976 MoMa exhibit), the massive Election Eve (1977; a portfolio of photographs taken around Plains, Georgia, the rural seat of Jimmy Carter before the 1976 presidential election), The Morals of Vision (1978), Flowers (1978), Wedgwood Blue (1979), Seven (1979), Troubled Waters (1980), The Louisiana Project (1980), William Eggleston's Graceland (1984; a series of commissioned photographs of Elvis Presley's Graceland, depicting the singer's home as an airless, windowless tomb in custom-made bad taste), The Democratic Forest (1989), Faulkner's Mississippi (1990), and Ancient and Modern(1992).  Some of his early series have not been shown until the late 2000s. The Nightclub Portraits (1973), a series of large black-and-white portraits in bars and clubs around Memphis was, for the most part, not shown until 2005. Lost and Found, part of Eggleston's Los Alamos series, is a body of photographs that have remained unseen for decades because until 2008 no one knew that they belonged to Walter Hopps; the works from this series chronicle road trips the artist took with Hopps, leaving from Memphis and traveling as far as the West Coast. Eggleston's Election Eve photographs were not editioned until 2011. Eggleston also worked with filmmakers, photographing the set of John Huston's film Annie (1982) and documenting the making of David Byrne's film True Stories (1986). In 2017 an album of Eggleston's music was released, Musik. It comprises 13 "experimental electronic soundscapes", "often dramatic improvisations on compositions by Bach (his hero) and Haendel as well as his singular takes on a Gilbert and Sullivan tune and the jazz standard On the Street Where You Live." Musik was made entirely on a 1980s Korg synthesiser, and recorded to floppy disks. The 2017 compilation Musik was produced by Tom Lunt, and released on Secretly Canadian. 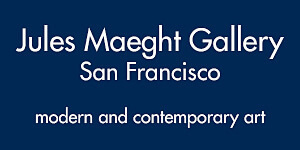 In 2018, Áine O'Dwyer performed the music on a pipe organ at the Big Ears music festival in Knoxville. William Eggleston assumes a neutral gaze and creates his art from commonplace subjects: a farmer's muddy Ford truck, a red ceiling in a friend's house, the contents of his own refrigerator. In his work, Eggleston photographs "democratically"--literally photographing the world around him. His large-format prints monumentalize everyday subjects, everything is equally important; every detail deserves attention. A native Southerner raised on a cotton plantation in the Mississippi Delta, Eggleston has created a singular portrait of his native South since the late 1960s. After discovering photography in the early 1960s, he abandoned a traditional education and instead learned from photographically illustrated books by Walker Evans, Henri Cartier-Bresson, and Robert Frank. Although he began his career making black-and-white images, he soon abandoned them to experiment with color technology to record experiences in more sensual and accurate terms at a time when color photography was largely confined to commercial advertising. In 1976 with the support of John Szarkowski, the influential photography historian, critic, and curator, Eggleston mounted "Color Photographs" a now famous exhibition of his work at the Museum of Modern Art, New York. 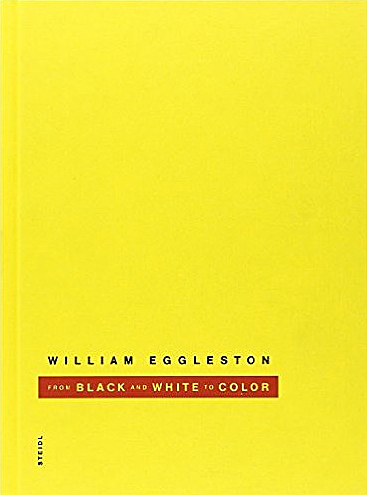 William Eggleston's Guide , in which Szarkowski called Eggleston's photographs "perfect," accompanied this groundbreaking one-person show that established his reputation as a pioneer of color photography. His subjects were mundane, everyday, often trivial, so that the real subject was seen to be color itself. These images helped establish Eggleston as one of the first non-commercial photographers working in color and inspired a new generation of photographers, as well as filmmakers. Eggleston has published his work extensively. He continues to live and work in Memphis, and travels considerably for photographic projects. 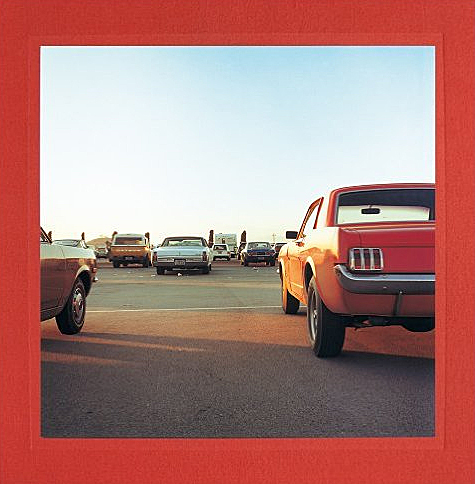 In April 1979, a book of fifteen colour photographs by William Eggleston was published in a limited edition of twenty. The photographs were taken from the second chapter of an unpublished larger work entitled Wedgewood Blue. Amidst his publications Chromes (2011), Los Alamos Revisited (2012), and the upcoming Democratic Forest (2014) and Election Eve (2016), all documenting his lifetime work, At Zenith constitutes a calm and experimental intermezzo from Eggleston's familiar loudness and intensity of colours. The photographer pointed his camera at the sky to focus on the clouds rolling by. At the end of the 1950s William Eggleston began to photograph around his home in Memphis using black-and-white 35mm film. Fascinated by the photography of Henri Cartier-Bresson, Eggleston declared at the time: "I couldn't imagine doing anything more than making a perfect fake Cartier-Bresson." Eventually Eggleston developed his own style which later shaped his seminal work in color-an original vision of the American everyday with its icons of banality: supermarkets, diners, service stations, automobiles and ghostly figures lost in space. From Black and White to Color includes some exceptional as-yet-unpublished photographs, and displays the evolution, ruptures and above all the radicalness of Eggleston's work when he began photographing in color at the end of the 1960s. 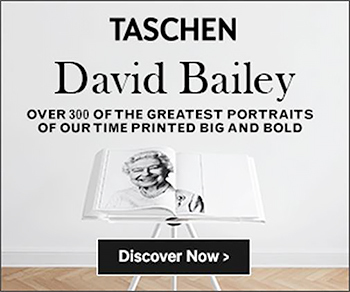 Here we discover similar obsessions and recurrent themes as present in his early black-and-white work including ceilings, food, and scenes of waiting, as well as Eggleston's unconventional croppings-all definitive traits of the photographer who famously proclaimed, "I am at war with the obvious." Born and raised in Mississippi and Tennessee, William Eggleston began taking pictures during the 1960s after seeing Henri Cartier-Bresson's The Decisive Moment. In 1966 he changed from black and white to color film, perhaps to make the medium more his own and less that of his esteemed predecessors. John Sarkowski, when he was curator of photography at the Museum of Modern Art, called Eggleston the "first color photographer," and certainly the world in which we consider a color photograph as art has changed because of Eggleston. From 1966 to 1971, Eggleston would occasionally use a two and one quarter inch format for photographs. These are collected and published here for the first time, adding more classic Eggleston images to photography's color canon. 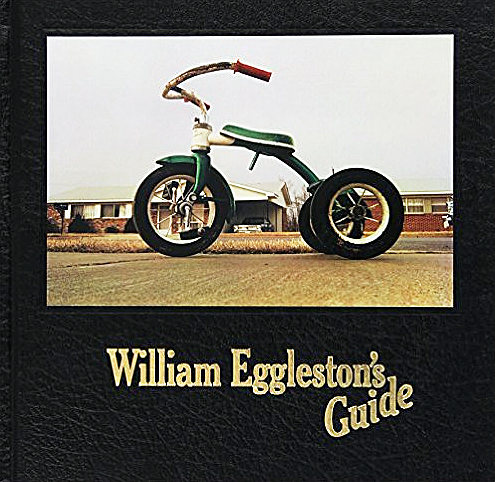 William Eggleston's Guide was the first one-man show of color photographs ever presented at The Museum of Modern Art, New York, and the Museum's first publication of color photography. The reception was divided and passionate. The book and show unabashedly forced the art world to deal with color photography, a medium scarcely taken seriously at the time, and with the vernacular content of a body of photographs that could have been but definitely weren't some average American's Instamatic pictures from the family album. These photographs heralded a new mastery of the use of color as an integral element of photographic composition. Bound in a textured cover inset with a photograph of a tricycle and stamped with yearbook-style gold lettering, the Guide contained 48 images edited down from 375 shot between 1969 and 1971 and displayed a deceptively casual, actually super-refined look at the surrounding world. Here are people, landscapes, and odd little moments in and around Eggleston's hometown of Memphis--an anonymous woman in a loudly patterned dress and cat's eye glasses sitting, left leg slightly raised, on an equally loud outdoor sofa; a coal-fired barbecue shooting up flames, framed by a shiny silver tricycle, the curves of a gleaming black car fender, and someone's torso; a tiny, gray-haired lady in a faded, flowered housecoat, standing expectant, and dwarfed in the huge dark doorway of a mint-green room whose only visible furniture is a shaded lamp on an end table. For this edition of William Eggleston's Guide, The Museum of Modern Art has made new color separations from the original 35 mm slides, producing a facsimile edition in which the color will be freshly responsive to the photographer's intentions.